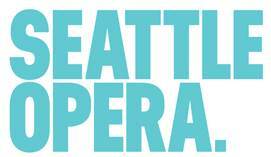 Seattle – Seattle Opera has received a $30,000 grant from National Endowment for the Arts (NEA). The funds, in support of the February, 2016 production of Donizetti’s Mary Stuart, are part of a larger $27.6 million that NEA is awarding to American arts groups in 2016. Seattle Opera General Director Aidan Lang said the generous grant, which specifically draws from NEA’s Art Works Program, will allow audiences to connect with Mary Stuart in meaningful ways—both during the performance, and before they step in to the theater. These activities will include previews, pre-performance talks, post-performance question-and-answer sessions, and dress rehearsals for students—all surrounding the performances of Mary Stuart (Feb. 27-28; March 2, 5, 9, 11 and 12. 2016). A radio broadcast and live-streaming on KING FM 98.1 will also be offered on the following dates: Feb. 27 (preview hosted by General Director Lang), and March 5 (broadcast of a live performance). The production will be directed by Kevin Newbury with Maestro Carlo Montanaro at the podium. Collectively, the two casts include Serena Farnocchia and Joyce El-Khoury (sharing the role of Mary Stuart); Mary Elizabeth Williams and Keri Alkema (sharing the role of Elizabetta); John Tessier and Andrew Owens (sharing the role of Leicester). The performance also includes performances by Michael Todd Simpson, Weston Hurt and Renée Rapier. Join the conversation on Twitter and Facebook with #NEAFall15 and #SOMaryStuart. For more information on projects included in the NEA grant announcement, go to arts.gov. Questa voce è stata pubblicata in Dal mondo della musica e contrassegnata con Aidan Lang, Andrew Owens, Carlo Montanaro, Gaetano Donizetti, John Tessier, Joyce El-Khoury, Keri Alkema, Kevin Newbury, Mary Elizabeth Williams, Mary Stuart, National Endowment for the Arts (NEA), Seattle Opera, Serena Farnocchia. Contrassegna il permalink.